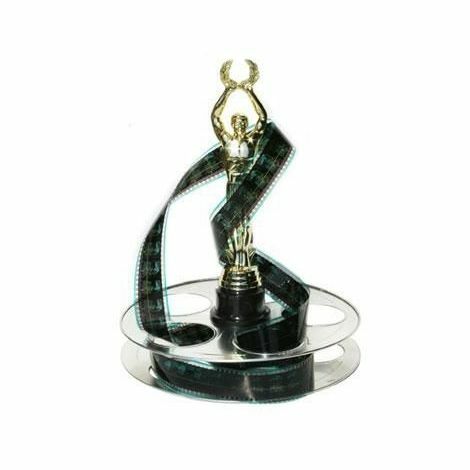 Great centerpiece idea and a real unique gift item. 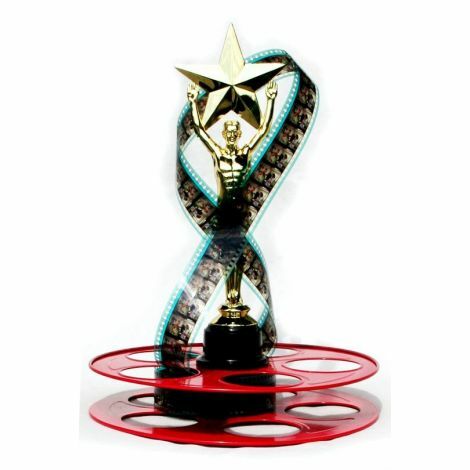 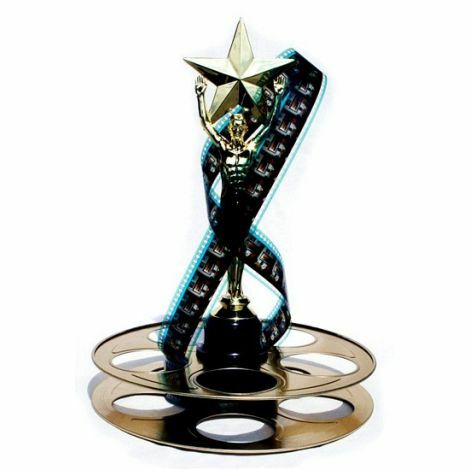 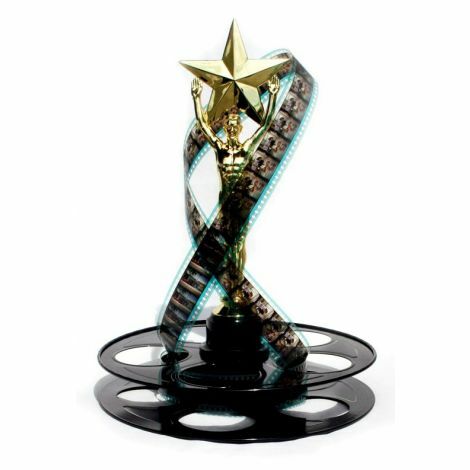 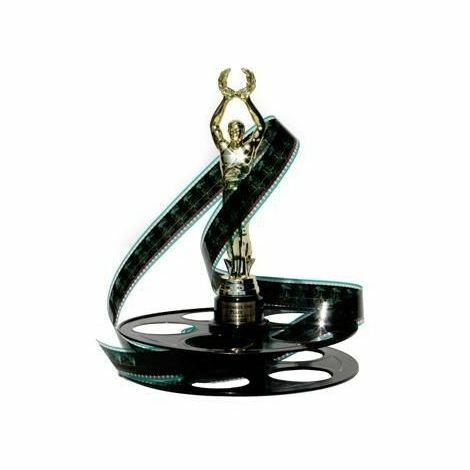 Trophy centerpiece presented with a movie Reel Base! 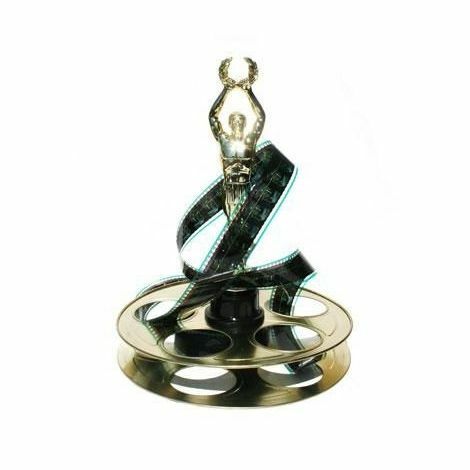 Size: 10.25" Height & 9.9" in Diameter (self assembly).